Ranked opponents just seem to keep popping up on the Illinois men’s tennis schedule. 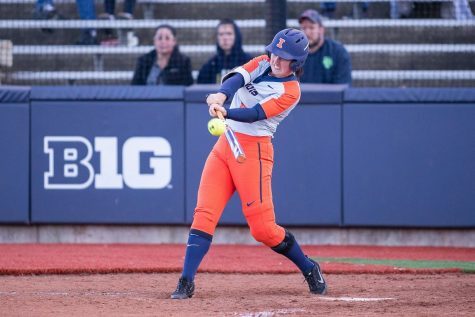 The Illini have another challenge this weekend when they travel to Evanston, Illinois, to take on Northwestern. The Wildcats enter the match ranked No. 11 in the latest ITA National Rankings. They are on a nine-match win streak, defeating top-40 opponents Duke, North Carolina State, Vanderbilt, Notre Dame and Harvard in that stretch. 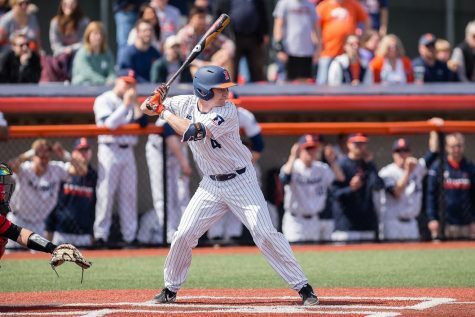 Illinois will be facing Northwestern for the second time this season. 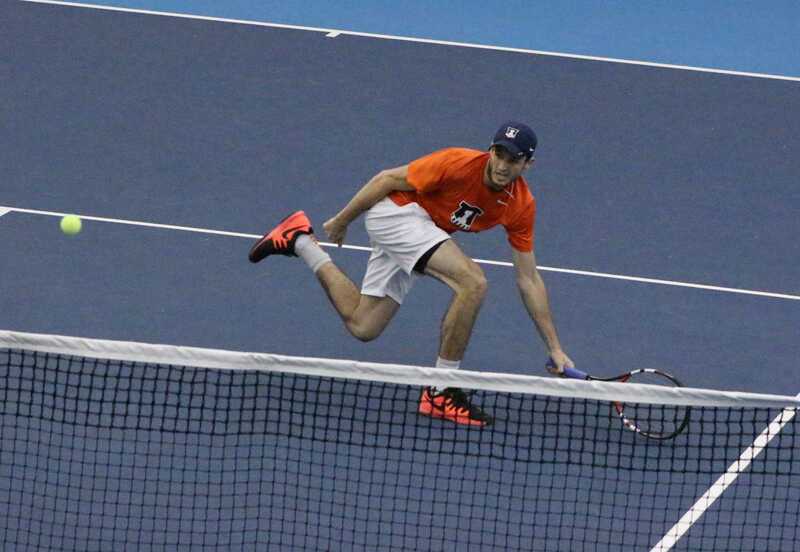 On Jan. 23, the Illini defeated the Wildcats 4-0 behind single match victories from sophomore Aleks Vukic, junior Julian Childers and senior Jared Hiltzik. Hiltzik was named Big Ten Athlete of the Week after defeating two top-20 opponents two weeks ago. Head coach Brad Dancer understands that the Wildcats are a different team than they were when the two teams faced off in January. Regardless, he is confident of his team’s chances. 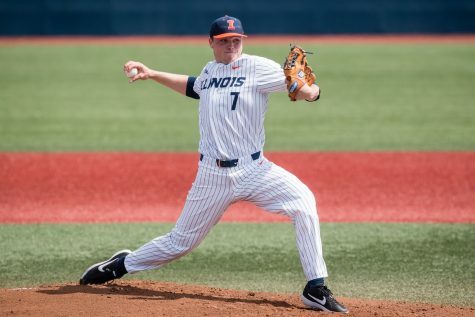 The Illini last competed two weeks ago when they upset No. 2 Virginia and fell in a close match to No. 8 TCU. Landa has played fifth singles in the past two matches and hopes he can remain there as much as possible as the season progresses. He returned from injury in February. Northwestern is led by No. 11 Konrad Zieba. Vukic defeated Zieba back in January in a three-set matinee, 3-6, 6-1, 6-4. Zieba has a 15-4 singles record this season and has nine wins in doubles play. The Wildcats also have Sam Shropshire (No. 83) and Strong Kirchheimer in the top 100. During the team’s nine-game win streak, it has allowed its opponents to garner one point or fewer in eight of the matches. The Illini understand that they will have to approach the match with the same intensity they did against previous top-tier opponents. 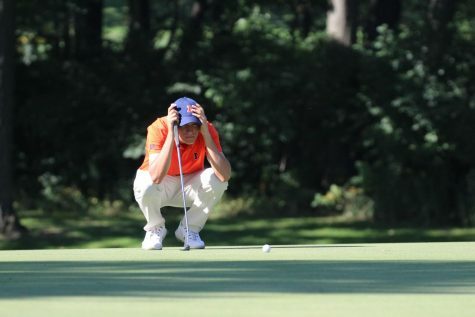 Six of Illinois’ last seven matches have been against top-10 opponents. 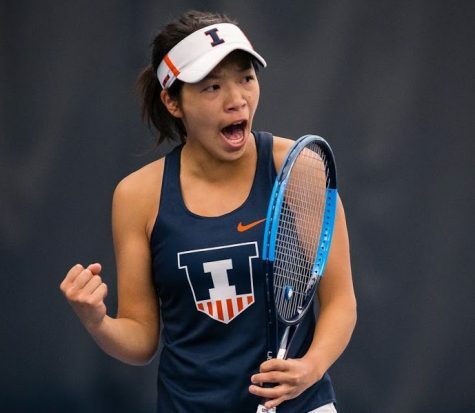 The Illini know what it takes to be ranked that high — they enter the match at No. 9. They have been ranked as high as No. 7 during this season and as low as No. 12.